In February of 2013, Dan Gasby teamed up with wife and business partner B. Smith for their first-time radio show with the world’s largest radio broadcaster. The B. Smith and ‘Thank You Dan’ Show is a daily, three-hour show on SiriusXM’s Urban View station, channel 128. More than 23 million subscribers can join in on their insightful conversations about healthy living, food, entertaining, succeeding in business, as well as sharing their secrets to a successful relationship. Gasby began his television career in 1977 at a startup UHF television station, WPTY-TV, in Tennessee. Over a seven year period, he rose from Account Executive to his position as General Sales Manager of WAWS-TV in Jacksonville, Florida. In 1985, Gasby joined Camelot Advertising Sales, a division of KingWorld Entertainment, as an Account Executive in the National Barter Syndication division, where he sold Wheel of Fortune, Jeopardy and the Oprah Winfrey Show, the three most successful shows in the history of TV syndication. 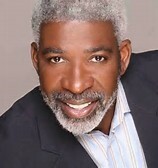 In 1989 Gasby successfully completed the transition from television sales to production as Creator and Co-Executive Producer of Big Break, a musical variety show hosted by Natalie Cole, and the forerunner to American Idol. Gasby’s production feats continued with the first televised Essence Awards in 1992. He served as Executive Producer for the 25th Anniversary Essence Awards celebration in 1995. Concurrently, Gasby was named Senior Vice President of Television Marketing for KingWorld Media Sales. In 1995, Gasby also served as Creator and Co-Executive Producer for the Newsweek American Achievement Awards, shot on location at The Kennedy Center, featuring presenters that included Julio Iglesias, Meredith Baxter, Jimmy Smits and Debbie Allen. Gasby teamed with his wife B. Smith in 1996 as Creator and Producer of B.Smith With Style, a weekly syndicated lifestyle program. The first broadcast appeared in the fall of 1997. Gasby helped to expand B.’s publishing ventures when he served as publisher for B. Smith Style magazine. As Chairman of B. Smith Enterprises, Ltd., Gasby’s experiences and expertise in television, marketing and production are essential to the growth and expansion of B. Smith in the lifestyle arena. He has created and co-executive produced four primetime lifestyle specials for TV One, a network devoted to bringing quality programming to African American families. The specials include a Thanksgiving, Christmas, Valentine’s Day, and Juneteenth show. He also launched B. Smith Group Licensing with an exclusive relationship with top retailer Bed, Bath & Beyond. Gasby is a member of the Board of Trustees at American University in Washington, D.C., and longtime member of the Board of Governors of the International Radio and Television Society Foundation.